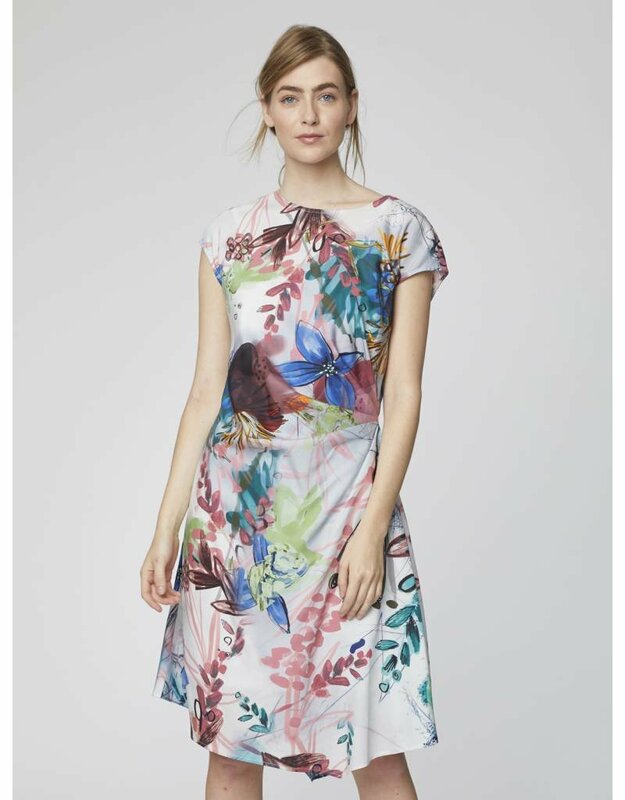 Featuring a bold, exclusively designed floral print, this dress comes in a unique new shape. 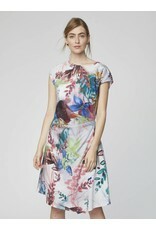 Cinched in at the side of the waist with an asymmetric hem, it's cut to flatter the feminine figure. 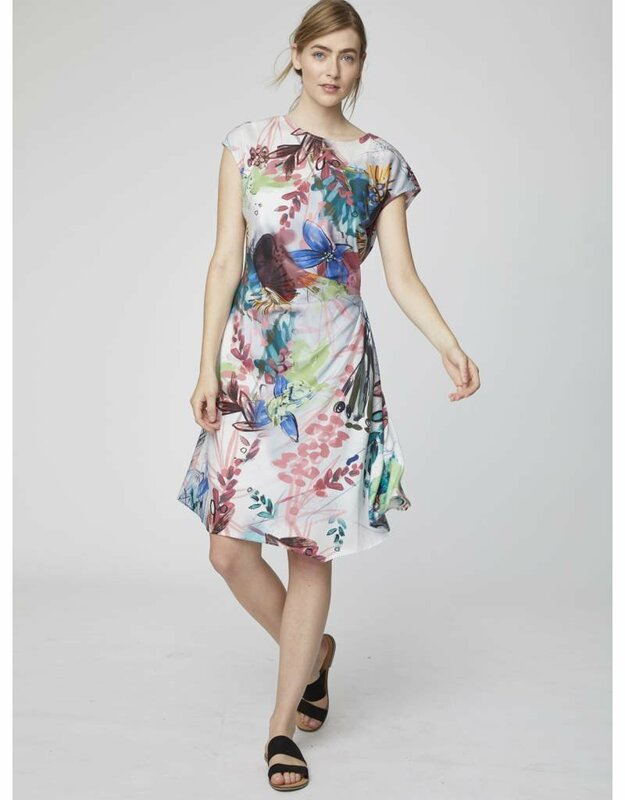 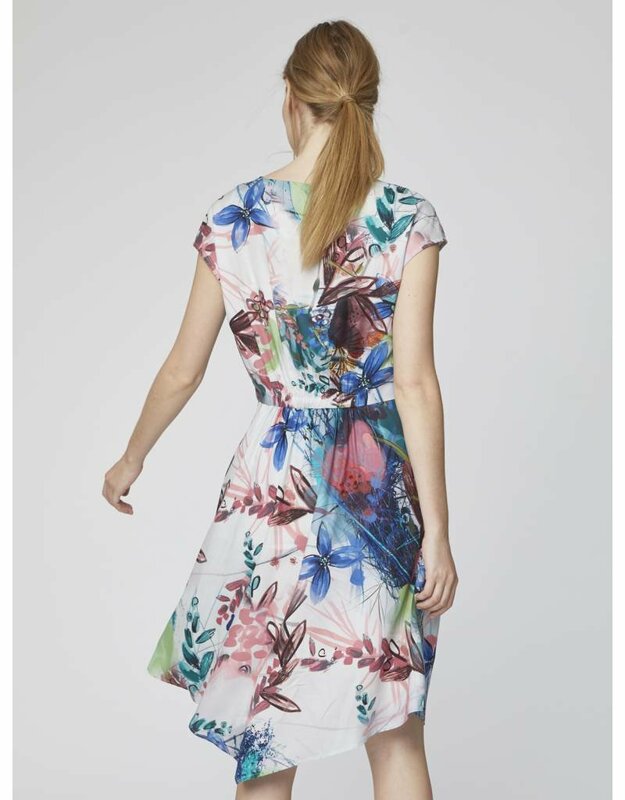 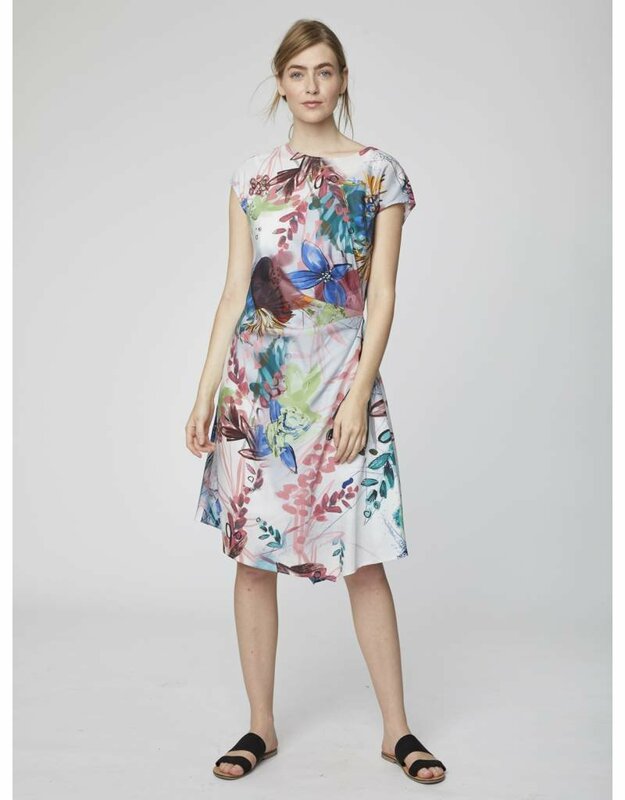 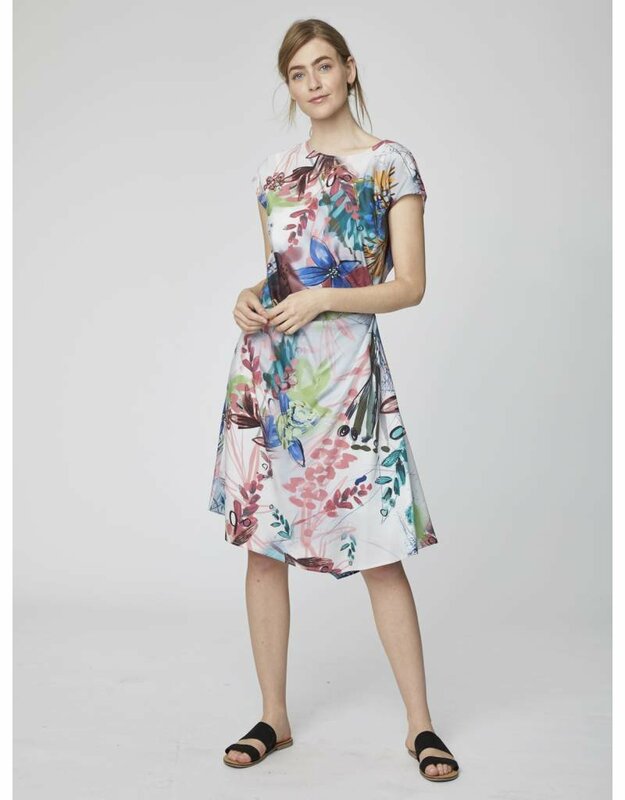 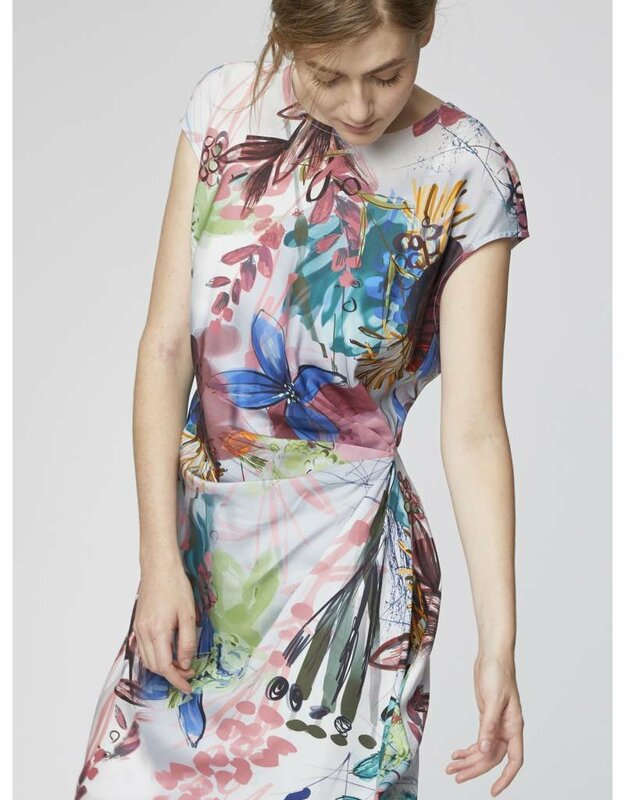 This cap sleeve floral dress is crafted from 100% Tencel, giving it a beautiful drape and smooth handle. 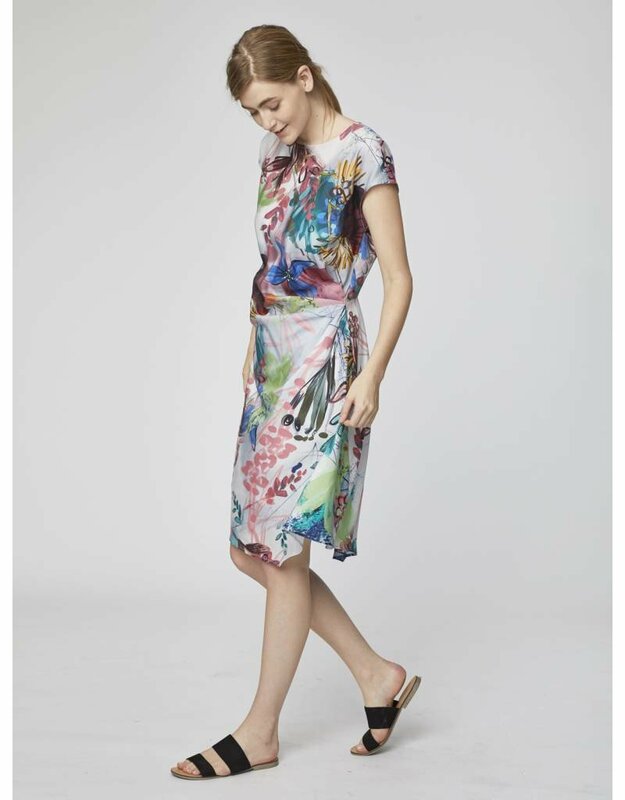 Pair it with your favourite strappy heels for a desk to dinner style.